Deidre's Discoveries: Warmer Wednesday! What's in your Warmer?! Warmer Wednesday! What's in your Warmer?! I can't believe how little posts I have for April so far! But things have been hectic! I'm trying to get through some older products too so I will have some empties at the end of the month... and I haven't purchased anything new besides the hyaluronic acid in my previous post! 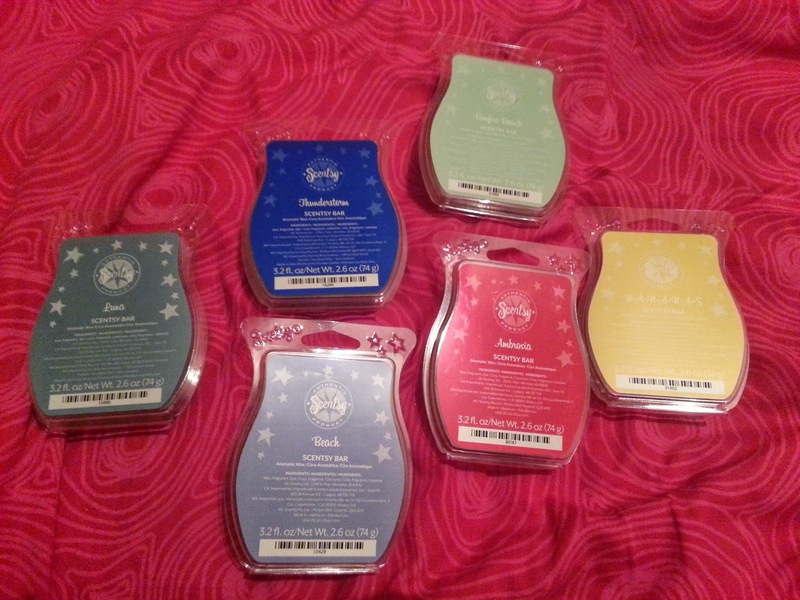 All of that aside, I decided to put in TWO of the new Spring/Summer scents into my warmers! I've never warmed either of these before, so they are brand new for me! So I narrowed it down to 6 bars... It was a hard decision but they were all new in my collection so I needed to pick something new! In this picture I have Luna, Thunderstorm, Beach, Bonfire Beach, Ambrosia and B-A-N-A-N-A-S! This is SUCH a unique scent. I don't think I've smelled anything quite like it before. 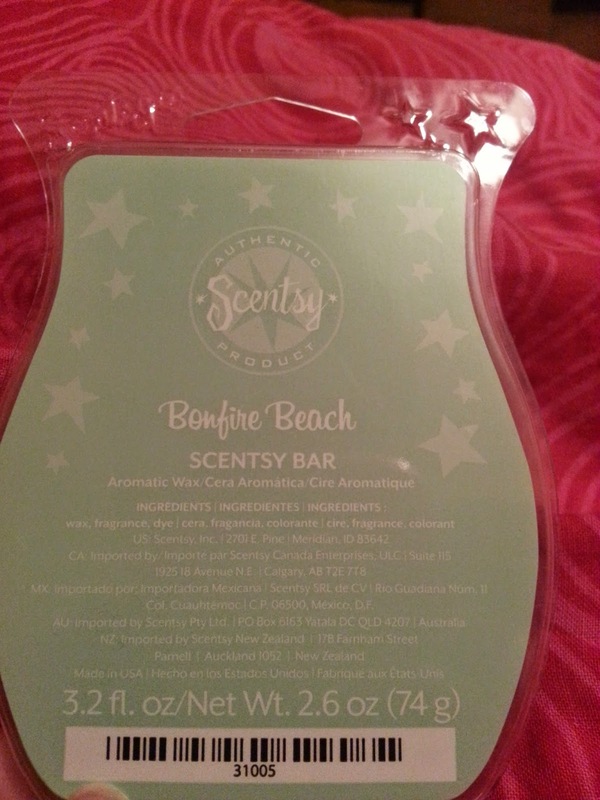 The description says "Toasted marshmallow smoldering over white flint and sandalwood harmonize with salty sea air and ocean spray." You do get the light marshmallow scent, and it's creamy. It's a hint of sweet, but theres also a little salt, and musk. It's so hard to describe, and it wouldn't be my typical kind of scent, but I'm REALLY enjoying this one! I'm so glad I finally picked it up! I tend to choose more floral scents for the washroom. I'm not really a huge fan of florals, but I do tend to make an exception for some! 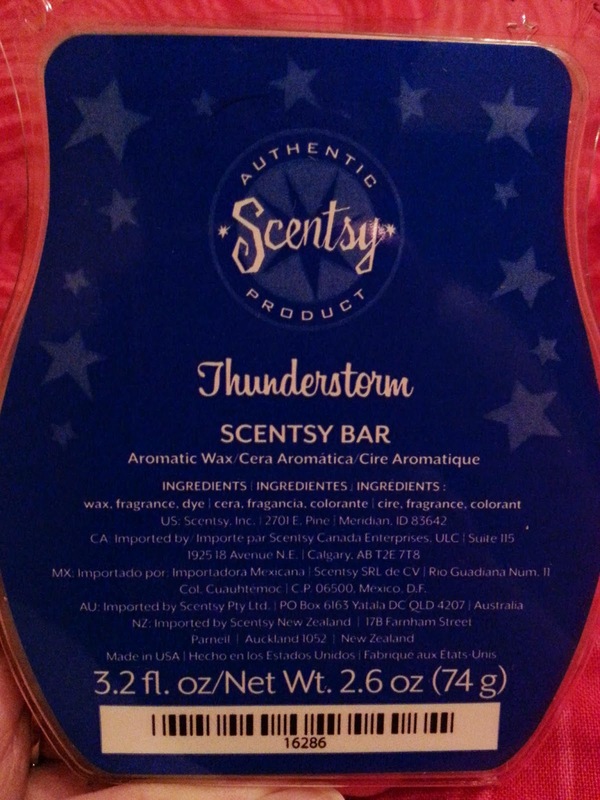 Based on the description "Very refreshing, sharp, spicy, outdoor fragrance; like the breeze in a storm." I definitely would never have picked this for myself. There's no notes that are marked, nothing. But since I became a consultant I got it as a tester, and I have to say, I like it! To me it's a very fresh "clean" scent. Also, I find it has a little bit of a lilac smell. It is very refreshing. I honestly can say I've never smelled something like this before either. So this week, I chose two very "out-there" scents for myself, and ended up enjoying them both, very much! Ipsy - April 2015 - Sneak Peeks! Warmer Wednesday! What's in your warmer! ?